Many Universities have embraced the online format and have begun publishing numerous classes in their catalogues online. These are not ‘new age’ online universities or small liberal arts colleges that none of us have heard mentioned. These are educational powerhouses, such as Yale, Harvard, MIT, and more. In the past year, the University of California at Berkley as made a concerted effort to make large portions of the catalogue fully available online. Currently, the Spring 2012 catalogue, available on iTunes U has 86 full classes in mathematics, economics, history, the sciences, philosophy, law, and more. These courses range from introductory to advanced and are taught by the leaders in their field. You can view the entire catalogue by clicking here. Remember, you do not have to have an iPod or a Mac computer to play these courses. All that you need is iTunes on your computer (completely free software). This entry was posted in Education, Educational Resources, Educational Technology, Higher Education, Podcast and tagged Berkeley, Education, Educational Technology, free college, free education, Free Educational Resources, free school, Podcast, University of California on June 3, 2012 by Jennifer Carey. Thanks for the heads up. The move by colleges into online ed has been more and more in the news recently. It feels like we’re on the verge of systemic change. I’m wondering how it will filter down to K-12. Thanks for the heads up. The move of college into online ed has been more and more in the news recently. It feels like we’re on the verge of systemic change. I’m wondering how it will filter down to K-12. I checked out the article–interesting. 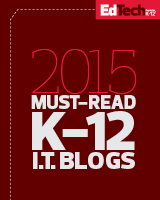 At our school, we’ve focused on the 1:1 laptop route to technology, rather than online ed. But I was thinking more broadly. My school is a “college prep” school–and it looks like yours is, too, since it’s in your mission statement. What happens to that sort of school when the traditional college model changes? I’ve witnessed a lot of great coming out of Yale, Berkeley and (on a smaller scale) Stanford. I understand MIT has a lot of offer, though I’ve never given them a closer look. It seems to me the quality of the recording varies most as a result of how the professor approaches their new status as a recorded performer. I like the movement toward inclusive high education, yet I sympathize with the hesitation of professors who haven’t trained for an audience beyond the classroom. I have been planning to take up online courses in foreign language studies next year. Some people are telling me it would be best to go to a physical school rather than an online class. Can you give me hints on what to expect, and a comparison between going to a school or taking it online? I have never taken an online course in language, so I’m sorry that I cannot give you a comparative answer. I would love to hear what you discover!